Head of Digital for Zurich North America ($13B company) leading a high-energy organization passionate about leveraging digital, strategy, marketing, and technology to create business value and drive our customer focused digital transformation journey. Growth and results driven leader with operating experience, strategic mindset, management skills, and innovative vision to lead the business in an increasingly digital future. Holistic competency in strategy, marketing, digital, and IT management. Innovative and product driven executive with more than 17 years of progressively responsible general management and hands-on global experience across startups, global consulting organizations, agencies, and large multinational corporations in Financial Services, Insurance, Automotive, Healthcare, Consumer Packaged Goods, Pharmaceuticals, and Energy verticals. Marketing’s potential to impact business results and customer experience has been the primary driver for me to enter the field and spend more than half my career in it. Although, my entry into Marketing was not planned! I went to school to study Engineering/Computer Science and was working in an eBusiness consulting firm until I got a call from former manager who offered me the opportunity to join her current agency in the Marketing Tech group. The opportunity to bring technology and marketing together to better reach and serve customers sounded very compelling at that time (back in 2001) as much as it does even today. That is how I got started at J Walter Thompson in their ‘T3’ aka Thompson Total Targeting group. I am very passionate about leveraging technology, strategy, and marketing to solve real business problems and create engaging tangible customer experiences. I think digital is at the tip of the spear when it comes to transforming the end-end customer experience and a pure differentiator that companies need to enact if they want to retain market share and attract new customers. I must say that I continue to be impressed with the rapid maturity of social platforms such as LinkedIn and Twitter in targeting and qualifying leads. With the activation of ‘look alike’ models and deep criteria based targeting, these platforms continue to help organizations reach their target audiences and drive them deeper in the purchase funnel. Another avenue that is maturing fast and fetching us good results is paid media targeting. Programmatic buying and Google display network to name a couple are getting increasingly more sophisticated in the B2B space on lead targeting and conversion. These platforms combined with the correct customer journey map and measurement plan is a powerful tool to attract and convert leads. I don’t think there is one specific marketing technology that I can zero in on. The teams that I have led have benefitted from emerging enterprise content management platforms (Example: Adobe Suite or SiteCore, content planning and collaboration tools (Example: Kapost), and social listening tools (Example: Radian6). Each of these support a different yet connected purpose of targeting and nurturing the right customers. Proliferation of digital platforms and exponential growth in interaction/transactional data available to Marketers is keeping everyone on their toes today and will continue to do so in a more rigorous manner next year and beyond. To add this, many brands are still planning in traditional one to three year cycles whereas the world around them is changing almost every few months. This chase to understand data and leverage new platforms will only get worse as new smaller, more nimble entrants such as FinTech startups continue to mine and make more data, insights, and tools available to brands and their competitors. Adding to this proliferation is the fast growth in the connected devices and IoT space which is disrupting business models and will dump even more actionable data on Marketers to digest and take action on. We are addressing some of the listing challenges by moving to a more frequent and incremental approach to planning for digital. We have also made investments in creating a dedicated marketing analytics team to collect, mine, and measure insights from our marketing data and take action from those insights. Another big force which is already in effect is the non-reversible shift with the users these days for more pull marketing than push. Customers are increasing expecting brands to be less intrusive and reduce their traditional paid advertising, and concentrate more on creating pleasing customer experiences and omni-channel customer support pre and post purchase. High performing brands which have seen this writing on the wall are already pivoting to this new business model, while others are creating band aid solutions or not shifting at all! My team has contextualized our marketing communications and customer experiences along the customer’s end-end journey to create relevant, value add communications and capabilities. That said, pivoting from legacy systems and existing business operating models is something that will take some time and we are on the journey. Whether they have a Marketing degree or not, take time to learn all aspects of Marketing from brand, advertising, digital, content, and analytics as none of these are siloed functions anymore. They need to all come together to deliver the delightful and relevant experience that customers are expecting these days and the business impact that senior leadership is holding Marketing to deliver. Another piece of advice would be to be extremely curious and have openness to learn new technologies, and accept data with open arms. Marketing is more science than art these days and overloaded with data that needs to be managed, mined, and understood if they want to serve the new over demanding and digital savvy customers of today. Finally, as the digital space is transforming itself every few months and it is easy to feel overwhelmed, don’t feel pressurized to be aware of every little change in the field, as it’s impossible to keep up with everything happening in Marketing/digital. It is, however, important to pick an area that excites you and learn the fundamentals of that category. From there, you can build targeted expertise in that space and a personal brand along the way. 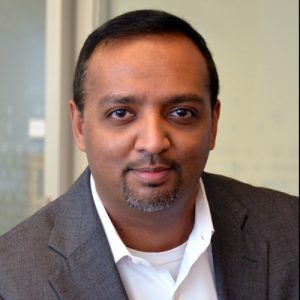 Connect with Monu on LinkedIn or follow him on Twitter at @monukalsi, he is a true visionary for digital marketing trends!